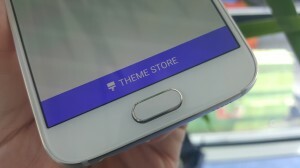 We have received immense response on our last version of Themes Thursday, our new section where we write about new themes released in the Galaxy Theme Store. In today’s version of Themes Thursday, we will introduce seven new themes that Samsung has released this week – Dream Girl, Dum Maro Dum, Little Red Riding Hood, Soft Cloud, Space Odyssey, Stamps, and Vacation. Personally, I liked Dum Maro Dum, as it is quite colorful, and is based upon a superhit Indian song from the 70′s. There’s something for the space lovers as well, Space Odyssey, where the screen unlocking pattern resembles twinkling stars. Even stamp collectors can install and enjoy the Stamps theme from the Theme Store this week. Which one did you like? Do let us know in the comments below.